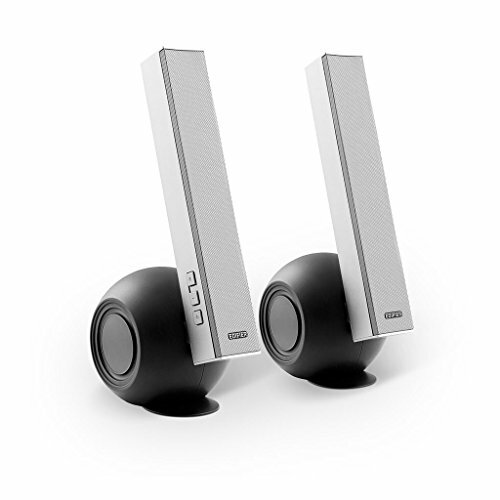 High performance integrated 2.0 speaker system with unique design. incorporating straight lines and smooth curves. Each upper section of the speaker contains two 1 inch midrange/. tweeters, and a 1 inch x 3 inch passive radiator. Each base section of the speaker contains a 3 inch woofer and a 3 inch. passive bass radiator for maximum deep bass effect. 3.5mm auxiliary input for audio connectivity. Volume adjustment and power/standby control buttons. If you have any questions about this product by Edifier, contact us by completing and submitting the form below. If you are looking for a specif part number, please include it with your message.